This week I have circled back to a question I’ve been having internal debates about for some time, internal because it’s not okay to talk about. To talk about it would be to admit there is a problem, the problem manifests itself externally, but the solution can only be sought internally. My bias, I have bias, I am biased. My privilege, I have privilege, I am privileged. I struggle to write this post, because it forces me to recognise the uncomfortable truth of my own embedded bias. I struggle with publishing this post, because of my own fear of criticism and the fear of people who don’t recognise the positive intent, as they are deeply rooted in their own hidden scripts of hatred, perceptions – bias. As I continue my own transformational journey, I will not allow fear and apathy to guide me. I need to challenge what I believe to be true – the hidden scripts, the voice in the back of my head. The target is not perfection, but better. I am biased, the first step is awareness. I started writing this post while on holiday and sitting at a restaurant in Kloof Street, Cape Town, around lunch time. Given my nomadic nature and gaps between visits to South Africa, I am probably more sensitive to changes over time than someone who encounters this reality on a daily basis, or in this case the lack of change. 25 years after Apartheid ended. 8 tables are being used. All by white people. The waiters are all black, the management are all white. Another lunch, another location (Johannesburg), similar story. Sitting with a friend, she explains how we, as kids were told that we could be anything we wanted to be, which even with the naivety of childhood, I knew it couldn’t be true. But it embedded a confidence that I carry with me through our life. She explained how after chatting openly with her mates, she realised how different their childhood lives were. They were told to be realistic, even if not explicitly, they wouldn’t have seen enough role models to allow their minds to conceptualise a more promising future. Our black waiter approaches, he is confident and immaculately dressed, he strides up to us, takes our order, exchanging easy banter. With my greater awareness from our previous discussion, I see him walk towards his white male manager, who could only politely be described as disheveled, I watch our waiter’s confident demeanor drop. Not respectful, subservient. From when we are newborns, we mirror what the other person sees. When we see a smile, we smile. We someone looks at us suspiciously, our demeanor drops suspiciously. Many of us pretend the cancer of bias is not there. Instead of recognising it, we find every other distraction or justification. We may have excised much of the official legal tumours, but the cancer has spread. I convey the above stories to a friend of mine. We are comfortable enough with each other to be open and honest with our view points, to effectively challenge one another. The topic evolves to women in the workplace and how what I consider to be the common sense of equality between genders, gets labelled with the emotive connotations of Feminism. She challenges me further, what can men do in the workplace to make it better? My immediate instinctive thought is that I am unqualified. How can I understand the challenges faced by women? – I reflect, this is a weak excuse, I can do more by trying to understand. I may not ever fully comprehend the issues faced, perhaps everyone’s experience is so different anyway that this does not matter. With conscious reflection and awareness I can be better, I can be more empathetic, I can challenge those exhibiting bias to be better. Better, not perfect. With this greater awareness I am suddenly struck by innocent comments like “One day she will make some lucky man very happy.” Something I have heard many times before. Now I hear it and I am uncomfortable. Why? I reflect, it is obvious, why a man, why someone else? I grew up in a strange “liberally” conservative society of Grahamstown, South Africa. Now I am living in a more liberally accepting Streatham, London. I recognise that there is no way I be honest with myself and believe that I have escaped the imprinted programming of bias. Be it racism, homophobia, elitism or gender. It is imprinted in the history of society, locally, globally. It is imprinted on me, it is imprinted on all of us. Going forward, I can either pretend that all is well or I can recognise the effect on me and question my ingrained beliefs and thoughts. This challenging is what has left me on what I believe is the road to being a better person, of course there is still a lot of work to do. Better, not perfect. When discussing issues like this with positive intent, I watch the demeanor of people change, getting defensive. After all, we are compelled in our DNA to form tribes, groups, to find people that are “like” us. That is not an adequate excuse, I feel compelled to do a lot of things and don’t. What distinguishes human beings is our ability to make decisions, to fight what we feel compelled to do. Better, not perfect. Racism, homophobia, elitism, gender inequality. All tolerated once, even actively encouraged. Now they are less so, they are generally officially not accepted. Whatever that means? – It certainly does not mean that our behaviour has changed. In many ways we have made tremendous progress and shouldn’t lose sight of the dramatic turnaround of the last 100 years. We have made a start, but there is work to do. To effectively challenge our hidden scripts, we need to understand where they come from. To do this, we need to examine the source, so we can better understand their influence on us. This will then allow us to challenge those hidden scripts imprinted on our mindsets. Traditional education or institutional education is what people typically think of when referring to their education. It is learning that often involves memorising facts and methods in order for us to produce a consistent and examinable result. A process of memorising and then assimilating the information. This has the advantage and disadvantage of a being a broadly predictable result. If we do things the same way, we should get the same result. Societal and environmental learning is about absorbing what is around us, we subconsciously develop heuristics (rules of thumb) to help manage the volume of stimulus we encounter. This makes our lives more manageable, but it is also why things like racism and other categorisations persist well beyond the laws or framework that may have originally enabled them to manifest themselves. We see patterns and then assimilate those patterns in our psyche, enacting them without realising it. Experiential education can be the most powerful and effective way to learn, it is also the slowest. It is also often highly contextual and anecdotal. It is often most effectively engaged through full immersion into the subject area. Like moving to Spain to learn Spanish. It can also mean we extrapolate a few negative experiences to be representative of the general. A fourth mode of learning is conceptual education or learning. Like reading this post, it is when our imaginations allow us to experience the outcome without having to directly experience it ourselves in the physical world. The ability to effectively conceptualise and assimilate is key. All of these learning methods have had an impact on what and how we think and it is usually more difficult to unlearn or change what we think, than to learn something new. The first step to overcoming this is by consciously making a concerted effort towards becoming more self-aware. Seeing yourself doing something is far more powerful than being told you are doing something. Notice how your face changes when you see that dodgy looking guy in the hoodie, notice how quickly it happens. I think you’ll be surprised how different your perception of yourself is from the truth, once you focus on being self-aware. I certainly can be better. We are all privileged, we are all biased. – It’s not just males, it’s not just white people. “It is impossible for a person to begin to learn what he thinks he already knows.” – Epictetus. Few people recognise how privileged they are, as we tend to look towards those more privileged than us, rather than less. We are generally looking in the wrong direction. I personally have no ambition to take away all of the privileged perspective driving this bias, I wish to retain the confidence and expectation to succeed. I would rather everyone has that. Privilege has become a dirty word, rather than a positive one. We need to decouple privilege from bias. A better question is what can I do with my privilege. Leverage or exploit? I choose leverage. I know that I am privileged. I recognise it. It is in this self-awareness that I feel my demeanour change. By shifting the training in my subconscious, I can, and have, a far more powerful impact than through my conscious efforts. I will use this awareness to question what has influenced my thinking. I will develop a habit of cultivating self-awareness to challenge and ultimately change my thinking and the hidden scripts I live by. Simply asking – Why am I thinking this? I will recognise the power of the perpetrator. Accept that I am privileged. Accept that I have bias. I will compensate. Better, not perfect. I will ask to understand not to debate or convince someone. Letting my opinion evolve and mature. – Why are people thinking that? 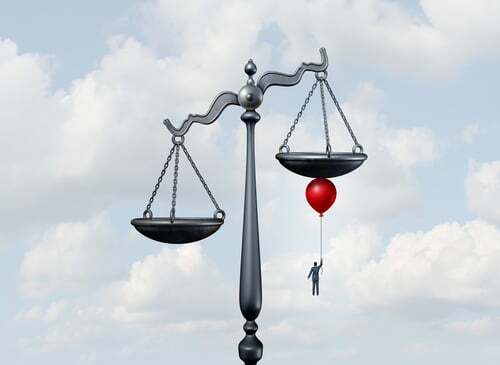 ← The Balance Fallacy – Trying to have it all.